Since 1947, AvoDerm has been committed and devoted to the cause of feeding dogs and cats, quality and healthy food. The food line of AvoDerm to improve or nullify the skin and coat problems dogs face was started and put into production in 1982. The range of products that AvoDerm has on offer today, contain abundance of Vitamins including Vitamin A, E and C. The food is free from chemical or artificial preservatives such as BHA, BHT or Ethoxyquin, which obviously is welcome news for any dog lover and folks who have a dog or two. AvoDerm is thus, the leader in dog and cat food which helps your dog possess beautiful coat and great skin. To make this stance stronger, AvoDerm now challenges all you folks to switch your dogs to an AvoDerm diet and see the difference in quality of coat and skin, in just six weeks. You stand a chance to get a discount of $5 on the first AvoDerm bag you buy. All you have to do is sign up at the AvoDerm website and they will send you your coupon. So hurry! What are you afraid of? 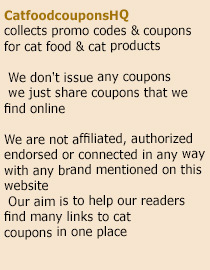 Log on to the AvoDerm website, claim your discount and put your dog or cat on their AvoDerm diet now! This entry was posted in AvoDerm. Bookmark the permalink.